Choosing a business-to-consumer mobile messaging provider can feel a formidable challenge in 2019. There’s an apparent surplus of vendors around – and a lack of guidance to help with the selection process. This new guide can help. 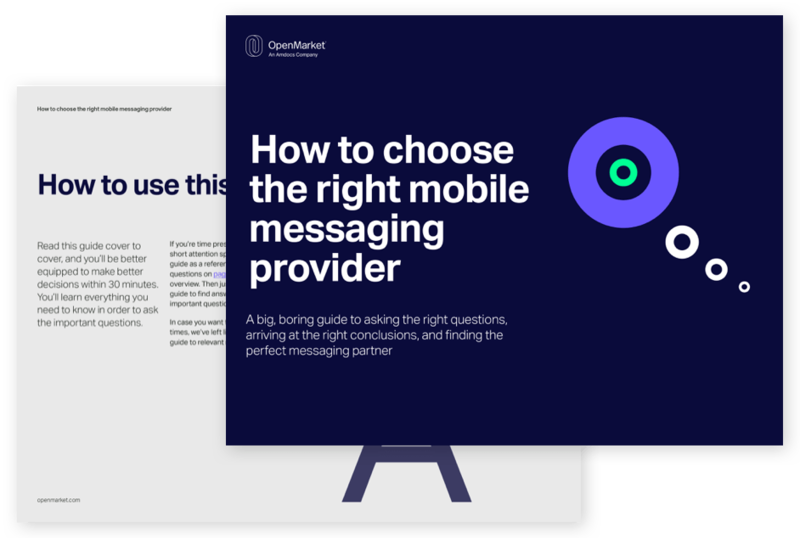 Whether you’re an enterprise looking to change SMS providers, a smaller business yet to lose its A2P virginity, or a seasoned SMS aggregator, this guide can lead you by the hand through the decision-making maze. It should even help you put together a highly effective request-for-proposal document. Before making a decision on a messaging provider, think about who within your company is likely to run your messaging campaigns. Will it be developers, or business users such as marketers, product teams or operations people? Thanks for downloading the guide. A copy should be winging its way to your inbox now.